Comptes rendus de l’ Academie des Sciences 1946 tome 222 p220. An oceanic indicator of changing cloud cover? I was very interested to read the latest post over on Bob Tisdale’s blog on the abject failure of the IPCC’s models in relation to sea surface temperatures. His point is well made, so I won’t belabour it here. My purpose with this post is to spark a discussion about that most contentious of issues: the question of whether or not most of the warming of the late C20th was due not to rising co2 levels, but to a reduction in cloud cover, letting more solar radiation warm the upper ocean. The question I want to explore here is why the strong seasonal signal is drastically reduced by shifting the baseline climatology.This is a question Bob doesn’t explore in his post, but I think it is an important question. Like many a whoduniti drama this investigation is presented in three acts, contains a sting in the tailii and is conducted by an eccentric amateur who leaves the audience to decide whether the story should be filed under fact or fiction. The mystery began when it was noted that settled scienceiii believes that the Mooniv only has a mini-magnetospherev lurking on the far side of the Moon that is 360 kilometres across and is surrounded by a 300 kilometre thick region of enhanced plasmavi fluxvii caused by the solar windviii. The diminutive size of the Moon’s magnetosphereix is apparently associated with the Moon’s very weakx external magnetic field which is described as being less than one-hundredthxi that of the Earthxii. The plot thickens when comparisons are made with other terrestrial planets. Mercury is described as having a strong magnetospherexiii and a significantxiv magnetic field which is also [contradictorily] weakxv because it is only about 1.1% as strong as the Earth’sxvi i.e. very close to the Moon’s less than one-hundredthxvii that of the Earth. Mercury’s magnetotailxviii is estimated to vary from 10s Mercury radii to 100s Mercury radiixix and even up to 1.5 million milesxx. Using values from Wikipedia the magnetosphere of Mercury may extend up to a maximum of 100 RM (Mercury radii)xxi i.e. 243,970 kilometres. 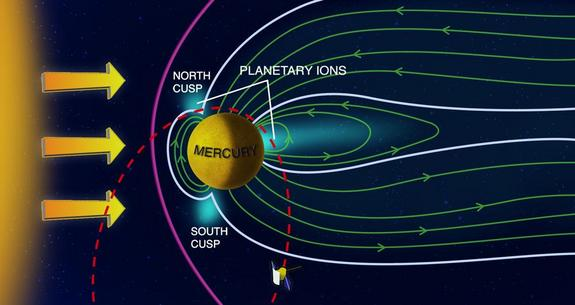 Venus lacks an intrinsic magnetic field but a weak external magnetic field is induced by an interaction between the ionosphere and the solar wind that supports an induced magnetosphereii that stretches for some 45,000,000 kilometres into spaceiii. I think that the work of Valery Kotov and his co-authors is fascinating and important. This work in progress is pulling together a list of his more recent publications and who has been citing them. I’ll add links to full papers as I build the library. See the recent threads here and here. An absolute clock of the cosmos? In 1968–2005 different observers (mainly, one of the authors—V.M. Lyuty) performed numerous measurements of luminosity of the nucleus of the Seyfert galaxy NGC 4151. It is shown that (a) luminosity of the object pulsated over 38 years with a period of 160.0106(7) min coinciding, within the error limits, with the well-known period P 0 = 160.0101(2) min of the enigmatic “solar” pulsations, and (b) when registering oscillations of luminosity of NGC 4151 nucleus with the P 0 period, time moments of observations must be reduced to the earth instead of the sun, i.e., to the reference frame of the observer. The coherent P 0 oscillation is characterized, therefore, by invariability of both frequency and phase with respect to redshift z and the earth’s orbital motion, respectively. From these results it, thus, follows that the coherent P 0 oscillation seems to be of a true cosmological origin. 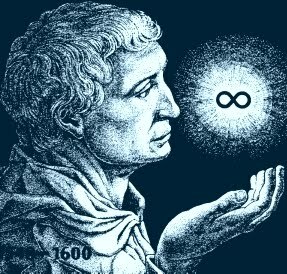 The P 0 period itself might represent a course of the “cosmic clock” related to the existence of an absolute time of the Universe in Newton’s comprehension. The prolonged 2007–2009 minimum is a big surprise for solar physics. In order to reveal the causes, we analyze the variability of the general magnetic field (GMF) of the Sun as a star measured by CrAO and five other observatories since 1968 (more than 19000 daily field strengths B were obtained in 41 years). Sharp yearly mean extrema of the negative (S) field took place in 1969, 1990, and 2008, with the third extremum, in contrast to the two previous ones, having coincided with the sunspot minimum. This explains both the long duration of the minimum and the record (over the last 100 years) increase in the length of the Wolf cycle (no. 23) to 12 or more years. The S-field extrema followed with a period of 19.5 ± 1.1 yr—some mean between the 22.1 ± 0.3-yr sunspot cycle, the 18.6-yr saros, and the 19.9-yr Jupiter-Saturn conjunction period. It is pointed out that, for some unclear reason, the negative polarity dominated on the Sun in 1968–2008: the overall mean B = −0.021 ± 0.015 G. The existence of a second Sun that obeys the laws of quantum mechanics is hypothesized. The “quantum” model of the Sun-2 explains many properties of the “classical” Sun-1, including the coronal heating, cyclic activity, periodic variations in GMF, and its sector structure. In the Western democracies of the 1st century, authority rides on the assumption of superior knowledge in those at the top, not their ability to use brute force. General education and the internet have eroded this and with it, the claim to power by our “leaders”. This applies to Greenpeace and the WWF as much as to Hansen, the IPCC, Obama in the US, and Gillard in Australia. If we can stop the ability of the IPCC and its supporters from instituting their economic, social and political agendas, we will have set a precedent for all further attempts at governmental regulation based on orchestrating our agreement. When Tony Blair said that bringing in FOI legislation was the biggest mistake in his career, and said that it hindered “good government”, he meant the ability to act in the determined “best” manner when the electorate would, the facts be known, not agree it was a good, manner, not just the best. The public disapproval would then block whatever the governors wanted to do. If the IPCC, with all its money and political investment, cannot give the politicians the support they need to do what they want, what are they going to do about all the other, smaller things that they want to do but they know we will not agree to if given a voice? Over the past few weeks I have created and added a new facility for the Talkshop. 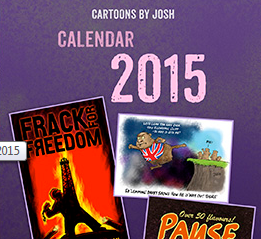 There is now a Help page and also a jumping off page for fixed pages and information. This has had to be done within the crude resources available with blog software. The top of page Menu now contains two new entries. chamber occurs at only one-tenth to one-thousandth of the rate observed in the lower atmosphere (Fig. 1). revised since all models assume that nucleation is caused by these vapours and water alone. and water vapour can nucleate without the need for additional vapours. UPDATE: Local copy of paper added. 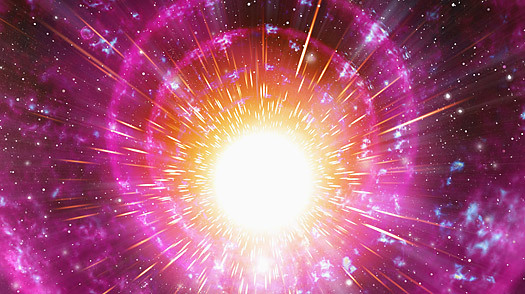 Earth has been bombarded with radiation from stellar events as the solar system travels through the Milky Way. This is linked to Earth’s paleo history. Which got me thinking about climate sceptics who are quick to condemn subsidy paid to the wind and solar industries, but prefer to talk about (future) improvements to nuclear reactor design rather than sordid financial details. This bedazzlement with technology and unconcern with cost one of the themes in this new book by Martin Cohen and Andrew McKillop. The discovery of global pulsations on the Sun with period Po = 160 min  enables us to consider a characteristic wavelength for the solar system L =cP0=19,24 a.u., where c is the velocity of light. The planetary distances show a statistically significant quasicommensurability between L and 2pai for the inner planets or between 2ai and L for the outer ones (ai is the major semiaxis of the orbit). This L commensurability leads to a new approach to the Titius-Bode planetary distance law. The physical mechanism responsible for this L commensurability in the solar system is evidently related to gravitational waves from an external source of unknown nature. 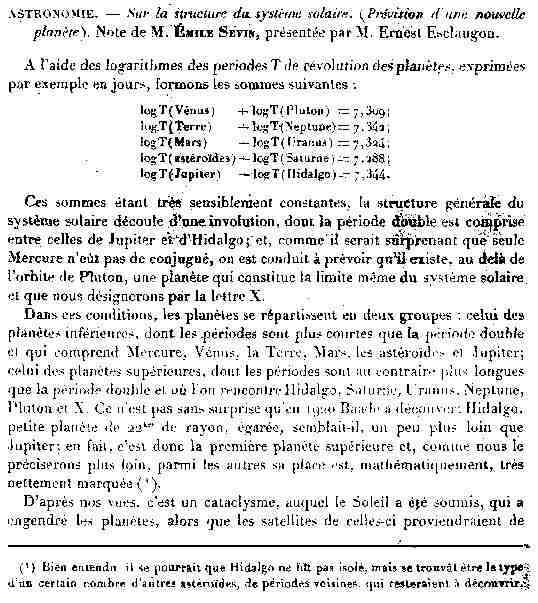 It is generally recognized that the distribution of the planets is not random and provides information on the formation mechanism and evolution of the solar system [1,2]. In many theories of the origin of the solar system, attempts are made to derive a planetary-distance law analogous to Bodes law, but none of these formulations can be taken as satisfactory. Alven and Arrhenius  criticized Bodes law but at the same time recognized that the solar system has regular structure and dynamics; they consider that resonant phenomena must play an important part in establishing the regularity, which is evidently also reflected in an exponential law of Bodes type, as well as the commensurability of many motions within the solar system. Now we’ll head into some more controversial territory, and explore a phenomenon which the mainstream has averted its eyes from. Many celestial objects have parameters which correspond to a fundamental frequency of 160.0101 minutes. Why 160.0101? Because that’s the figure determined by Valery Kotov, who devoted a substantial portion of his career to investigating an oscillation of that period he found on the Sun. What causes it? Nobody knows yet, but the empirical evidence is overwhelming that this is a non-local phenomenon despite a 1989 paper which is used as a rebuttal of Kotov’s work on the basis that 160 minutes is exactly 1/9 of an Earth day. The last mention I find of Kotov banging the 160.01 minute drum is at a conference in 2003, at, of all places, Stanford University, home of one Leif Svalgaard, where the U.S. Team was based which confirmed Kotov’s discovery in 1977. Let’s take a brief tour of just a few examples of the existence of the 160 minute wave before we move on to examine this frequency in relation to the solar system. It would thus seem, that at least in our galaxy, this wave is a rather general phenomenon for stars of various types. 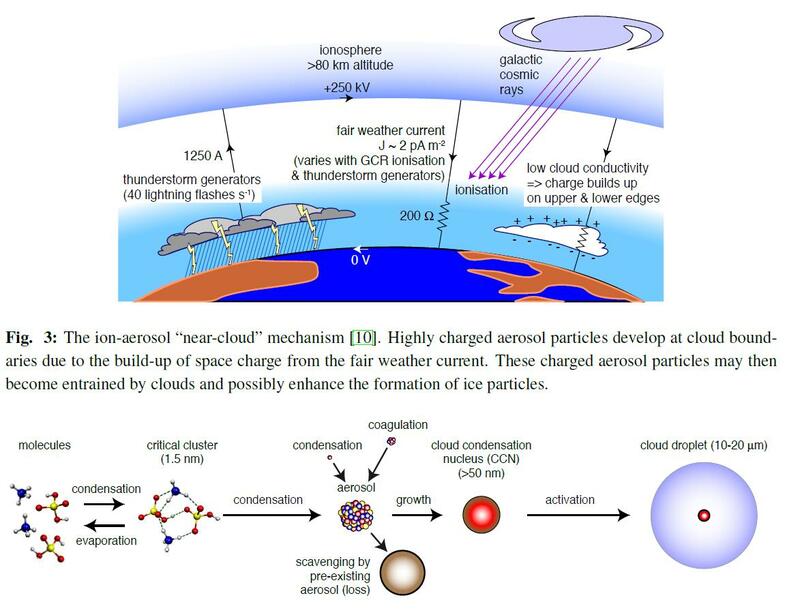 Huge thanks to astrophysicist Ian Wilson for this guest post which asks the questions overlooked or avoided by researchers in the mainstream of (sub)’standard’ model solar physics. Although Ian ‘frames no hypotheses’ regarding the physical mechanism(s) underlying the connection between solar variation and planetary motion, he continues to ask the searching questions which demand further investigation. The chance of these relationships holding across centuries by pure chance is so ridiculously low that the continued deliberate ignorance of them is less and less excusable as more and better correlations are discovered. Ian’s untiring effort to improve our knowledge is an inspiration to us all. Why Does the Solar Cycle Keep Re-synchronizing Itself With the Gravitational Force of Jupiter That is Tangentially Pushing and Pulling Upon the Venus-Earth Tidal Bulge in the Sun’s Convective Layer? that are observed in the Sun’s convective layer. 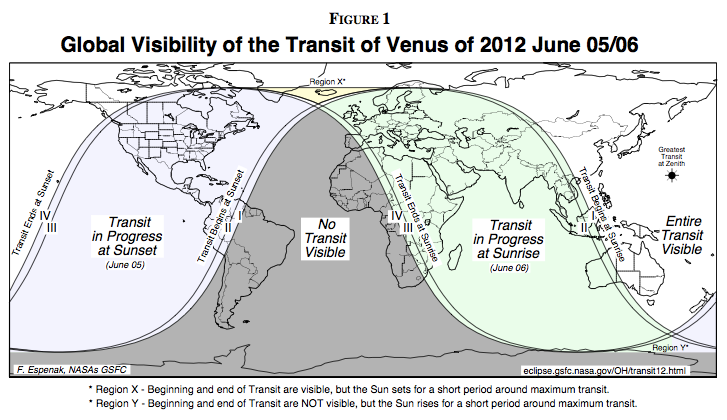 There are a series of celebrations and jamborees scheduled for the 5th and 6 June 2012 to commemorate a last in your lifetime event, lasting 6 hours and 40 minutes, called the Transit of Venus 2012. 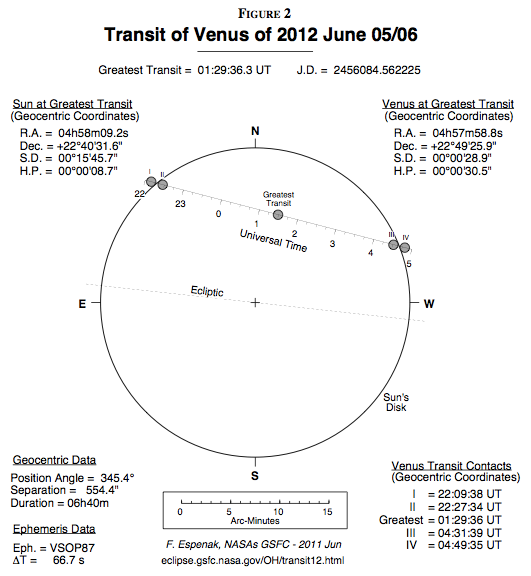 For the children born after 8th June 2004 this is a once in a lifetime event because the next cyclical pair of transits are scheduled for the 2117 and 2125, while the previous pair occurred during the Victorian age in 1874 and 1882. The post a few days ago on the Talkshop Could Instrumentation Drift Account for Arctic Sea Ice Decline? has led to a little discussion but also pushed me to take a brief look at sea ice, a subject where I spent some time, although before I started posting here. My loss of interest, was partly having found out as much as I was likely to and partly the parlous state of the data providers, a mess which continues. On top of that there aren’t many people interesting in the information side, is mostly armchair politics. What I am now showing is all based on dataset d02135, monthly. One of the ‘Tablets of Stone’ in the argument for ‘Anthropogenic Global Warming’ is that human emission of co2 through the burning of fossil fuel is responsible for the increase in the atmospheric level of this trace gas since pre-industrial times, which now constitutes 0.039% of Earth’s atmosphere. It is claimed that this can be logically deduced and calculated and there is no doubt we are the guilty species. The brilliant, whimsical popularizing of Sir Arthur Stanley Eddington has made ”the expanding Universe” almost a household word. But the telescopic observations of a universe which seems to be blowing up like the fragments of an explosive shell have come mainly from Mount Wilson Observatory’s brilliant Astronomer Edwin Powell Hubble. Beginning in 1928, Hubble and his coworker, Milton LaSalle Humason, showed that the light from the most distant nebulae (clouds of stars) which he could photograph in Mount Wilson’s giant telescope was shifted far toward the red end of the spectrum. Such a redshift is observed in the light of a star known to be retreating from Earth, so it was assumed that the distant nebulae were retreating in all directions. On these observations, and on the theoretical expanding universes formulated by de Sitter and Lemaitre before any observations were made, the case for the expanding universe rested. 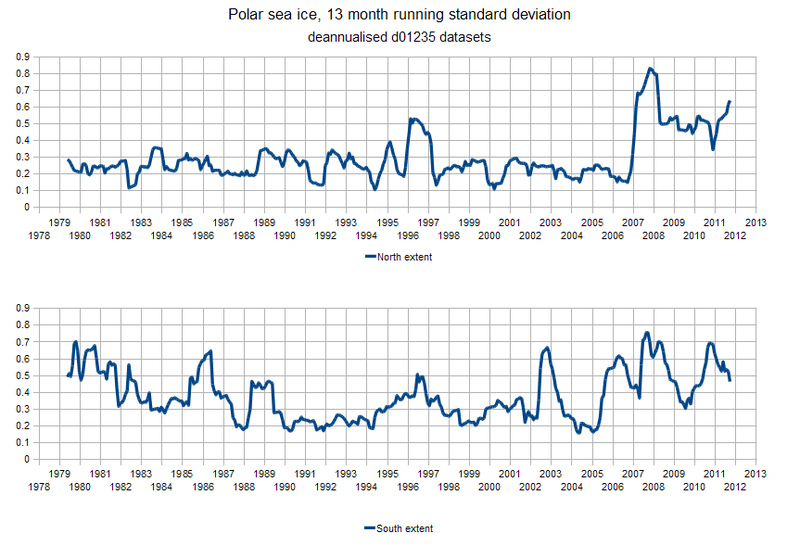 Jonathan Drake: Could Instrumentation Drift Account for Arctic Sea Ice Decline? This short and very readable paper from science writer and researcher Jonathan Drake got an airing on ‘The Air Vent’ recently. I’m reposting it here for further discussion. Satellites are tricky things to manage, and changes in their orbit affect the data they return. Calibration is a thorny issue for all spaceborne instrumentation, be it sensing ice, TSI or sea level. Could Instrumentation Drift Account for Arctic Sea Ice Decline? been applied to the temperature brightness data to account for orbital decay. 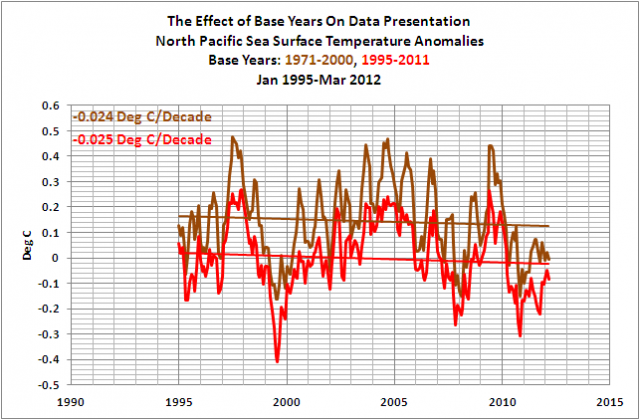 1/11 Could Instrumentation Drift Account for Arctic Sea Ice Decline? A recent short paper in Journal of Atmospheric and Solar-Terrestrial Physics (20th March 2012) is appraising past research on planetary interaction with the sun, citing many names known to Talkshop regulars, concluding there is no major effect and that the next and under researched place to look is the tachocline. We present a physical analysis of the occasionally forwarded hypothesis that solar variability, as shown in the various photospheric and outer solar layer activities, might be due to the Newtonian attraction by the planets. We calculate the planetary forces exerted on the tachocline and thereby not only include the immediate forces but we also take into account that these planetary or dynamo actions occur during some time, which demands integration. As an improvement to earlier research on this topic we reconsider the internal convective velocities and we examine several other effects, in particular those due to magnetic buoyancy and to the Coriolis force. The main conclusion is that in its essence: planetary influences are too small to be more than a small modulation of the solar cycle. 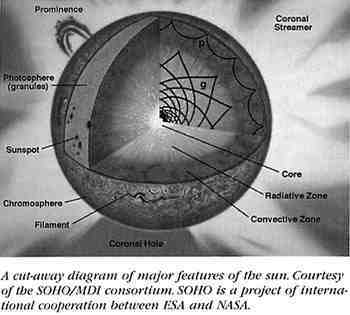 We do not exclude the possibility that the long term combined action of the planets may induce small internal motions in the sun, which may have indirectly an effect on the solar dynamo after a long time.